Avacado fruit is rich in Potassium, Vitamin B, E & K. This is called as Butter Fruit in India. Scoop out the flesh of the avocado into a Mixer. Add Milk, Sugar, Lemon juice & Vanilla Essence. Blend until smooth. Remove to a container. Whip Heavy cream until soft peaks. Stir the cream into the avocado mixture. Place the container in the freezer until set. Quick question. You said add lemon juice, will it not curdle up the milk? 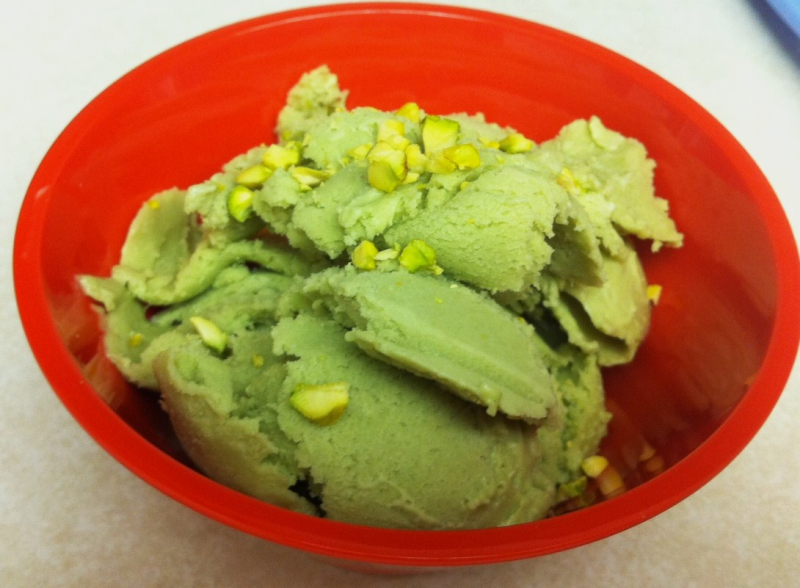 This is probably the most healthy icecream, keep posting such recipes. Thank U . A novel nd healthy recipe . Will surely try dis out . Avocado's Lower Cholesterol , Prevents strokes , Controls BP , Smoothes Skin and Fights Diabetes . Another wonderful new excellent recipe. Very Innovative. Thanks.